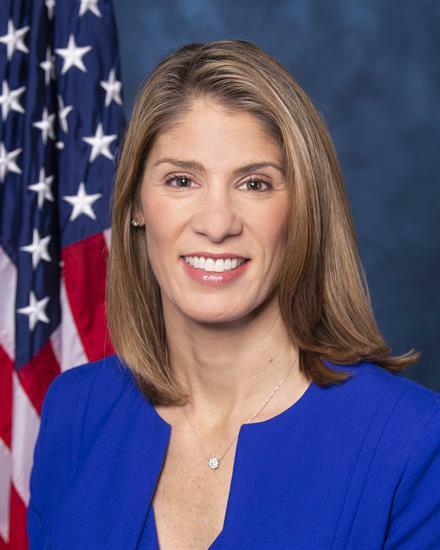 Lori Trahan was born and raised in a working-class family in Lowell, Massachusetts. Her father was a union ironworker and her mother was a domestic worker who juggled various part time jobs while raising four girls. The first in her family to graduate from college, Lori earned a scholarship to play Division 1 volleyball at Georgetown University. She joined the staff of former Congressman Marty Meehan as a scheduler, eventually working her way up to Chief of Staff. Following her public service, Lori began working in the private sector as the only female executive at a tech company before moving on to cofound a woman owned and operated consulting firm, Concire, where she advised various companies on business strategy, how to create the conditions for employees – especially women - to thrive. She and her husband, Dave, currently reside in Westford, MA and are raising two young girls, Grace and Caroline, while keeping tabs on their three grown stepsons, Thomas, Dean, and Christian. As a member of the House Education and Labor and House Armed Services Committees, Lori is focused on fighting for working families on issues such as affordable health care, quality public education, workforce development, the environment, and working to end the pain and suffering of the opioid crisis. Lori is the first Portuguese-American woman elected to Congress and is a member of the New Dems and the Congressional Progressive Caucus.